The Why: Because there is a wonderful group of people work at Potting Shed Creations, based in Troy, Idaho. Their products — and the biggest key to their success — are based on one simple premise: “Develop exciting, high-quality products that offer a fresh approach to #gardening.” The Garden-in-a-Bag collection provides a great selection of herbs, fruits and #veggies that can be grown indoors, right in the leak-proof bag. 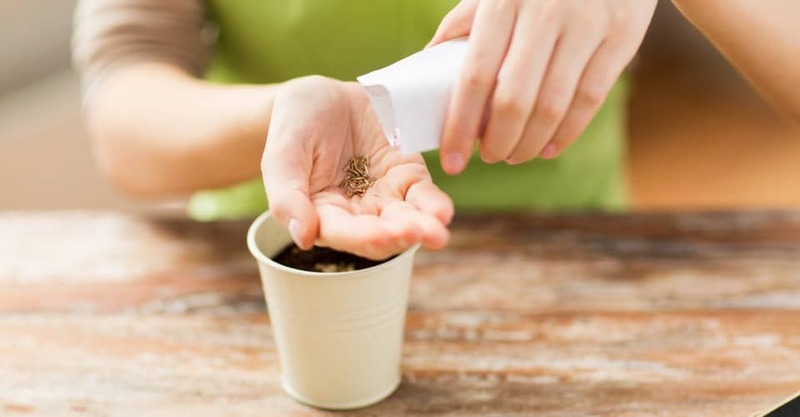 All you need to do is mix in the enclosed packet of #seeds and add water. The seeds germinate in seven to 14 days, and you can start using the leaves in about eight weeks. The Health Bonus: You can add flavor to your food with your very own herb garden. It’s certainly an encouraging way to get you to cook and eat more healthfully. Plus, if you have kids, it’s a great way to get them to eat better foods — they get to eat what they grow. What We Liked Best: How simple and cute they are, plus, they make wonderful gifts. What We Liked Least: They’re not available everywhere, but at least you can order them online. The Price: $7.50 per plant, plus shipping. Offerings: Chives, cilantro, oregano, basil, thyme, dill, mint, parsley, sage, tomatoes and strawberries. They also offer an herb Garden-in-a-Pail and Mixed Herb Hanging Baskets, which we think are fabulous, too. Where to Buy: Order online, or call (800) 505-7496. Ingredients: Seeds, soil wafer, drainage peanuts and leak-proof bag.